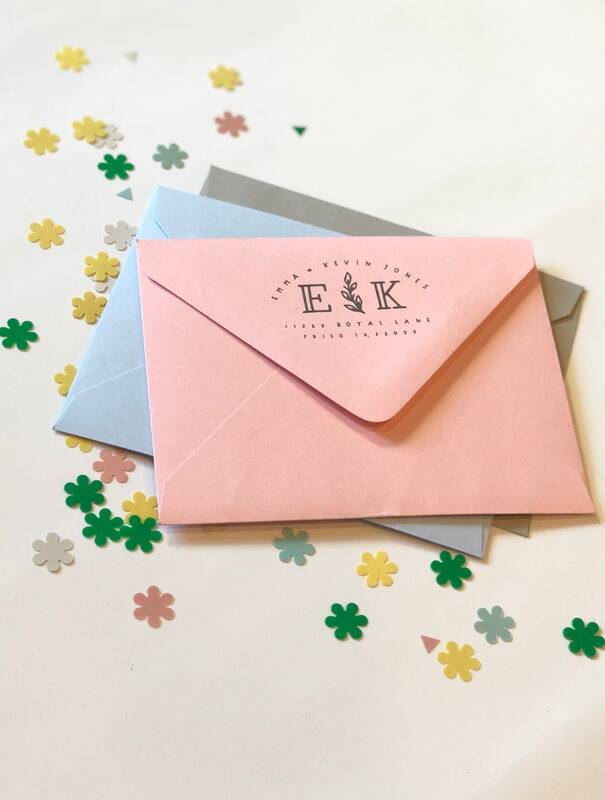 A fresh sprig is placed between two monogram initials on this return address stamp. 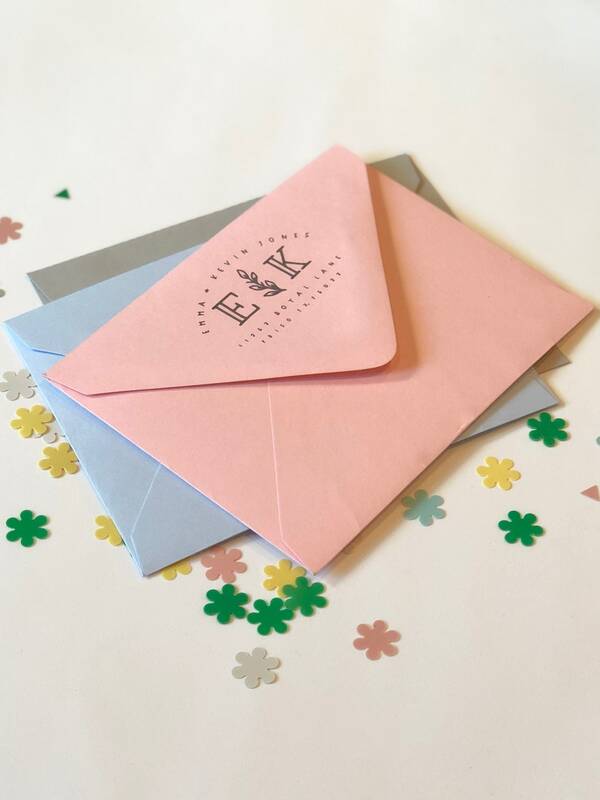 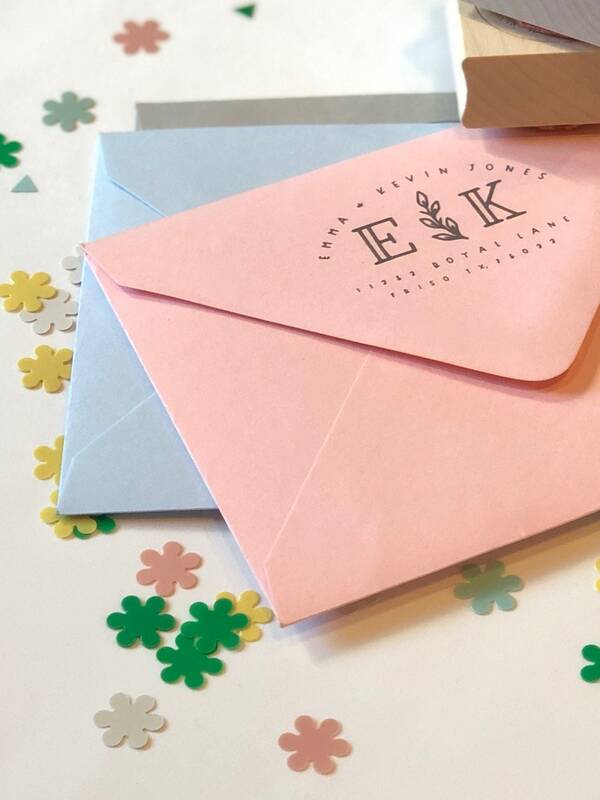 The monograms may be your first and last initial or the first initial of a couple. 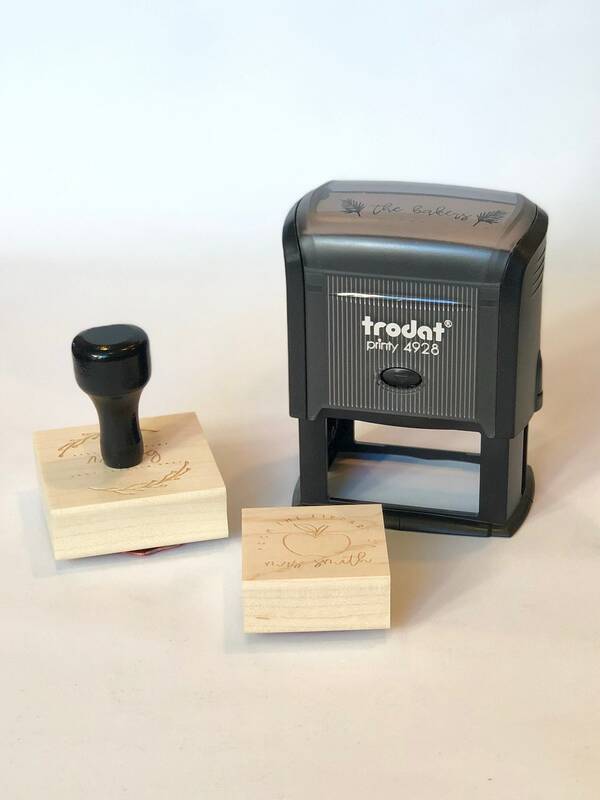 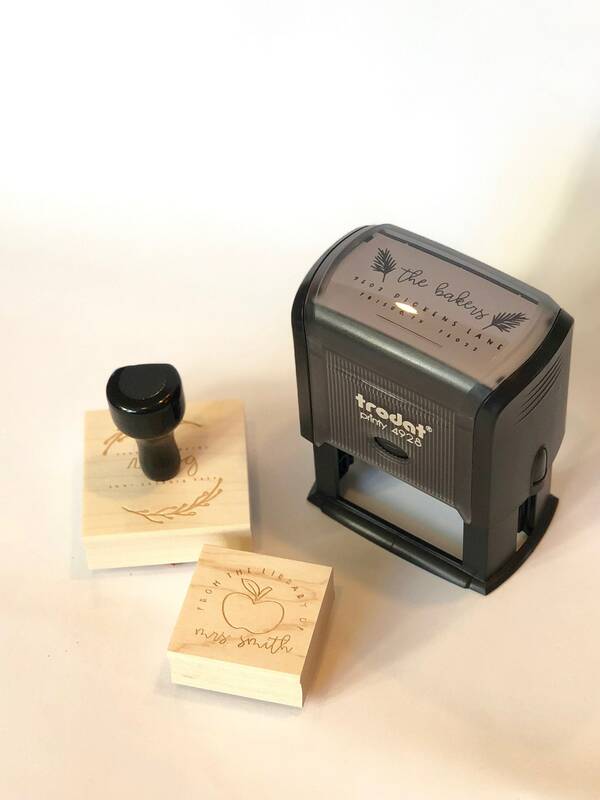 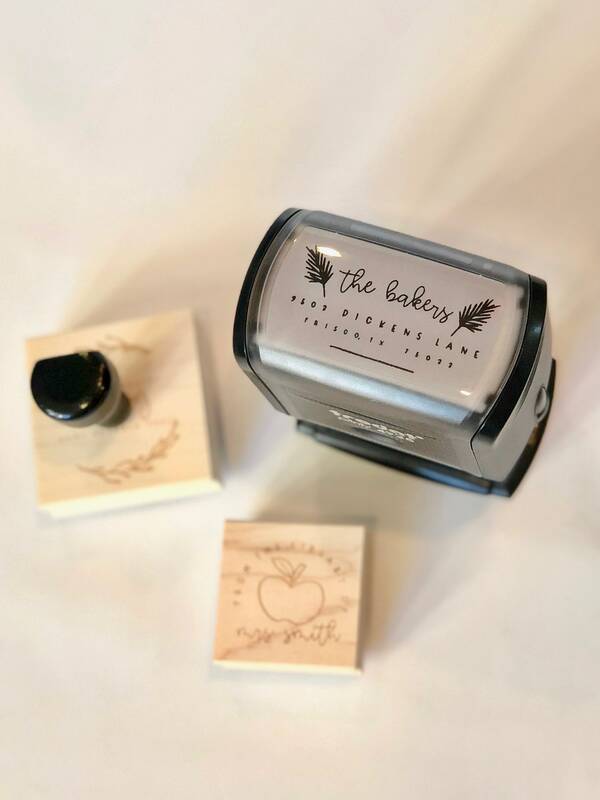 This custom made stamp features a return address laser-etched into rubber, producing a clear and concise image.